We're taking the opportunity to bring together three photographs of a remarkable group of buildings, one from our own collection and two from the Frank Smith collection. Chris Earl carried on the builders and builders merchants business he inherited from his father, Ernie, at the top end of the land now occupied by the Factory Shop in Kinderton Street. You can find the original diary entry describing these photos here. 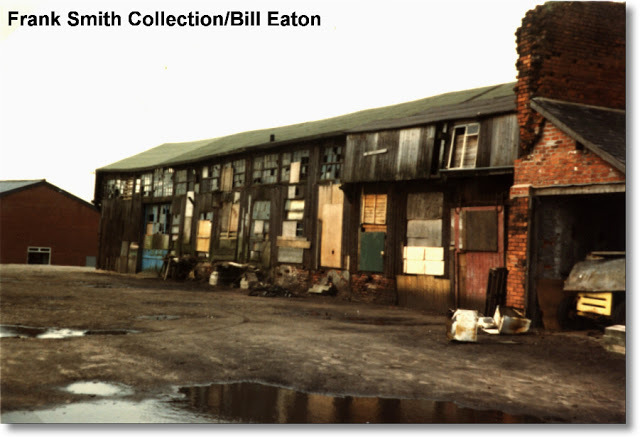 Our main photo is a Kodachrome slide taken in 1973 showing the ramshackle and life expired buildings in Kinderton Street. The white building immediately behind them is the Masonic Lodge, and the junction with King Street is immediately out of shot to the left. It's that huge wooden building right centre which got the attention of Frank Smith, because he knew its history. 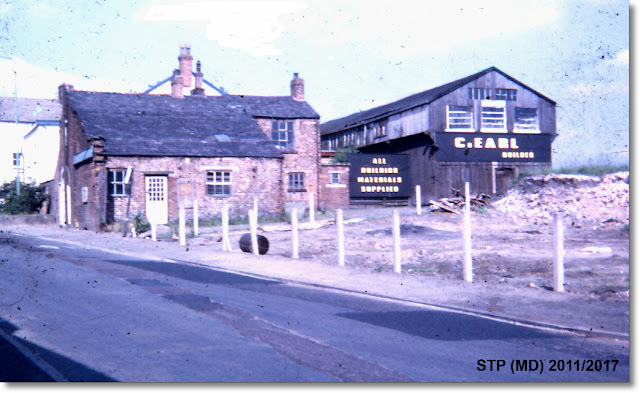 In the first of Frank's photos, taken a couple of years later, demolition of the roadside buildings has begun. To the left St Mary's Catholic School in King Street (now the Parish Centre) can be seen. On the right is the frontage of the long timber structure which was such a feature of the premises, although it was largely hidden from view until the very end of its days. And here's a side view of this remarkable building which, but for Frank Smith's foresight, might have been lost to posterity. This much altered, patched up and decidedly wonky building was, according to Frank, a drill hall used by the Home Guard during the Second World War. On the extreme left the building which in later years became the Factory Shop has made an appearance. The Earls were local builders for many years. You may even, without realising it, live in one of the many houses they built in the town over the years. Ernie himself used to call into the rates office in Lewin Street, where I worked from 1969 to 1972, and pay the greater part of his rates bill in cash. Later, Billy 'Cocky' Wilkinson, who lived on Seabank, just a short distance away from Earl's yard, used to regale me in the Kings Arms with tales of working for Chris Earl both at the yard and at the family home in Chester Road. And, of course, one of the Earl family is justly famous as a local historian and expert on all things Middlewich. 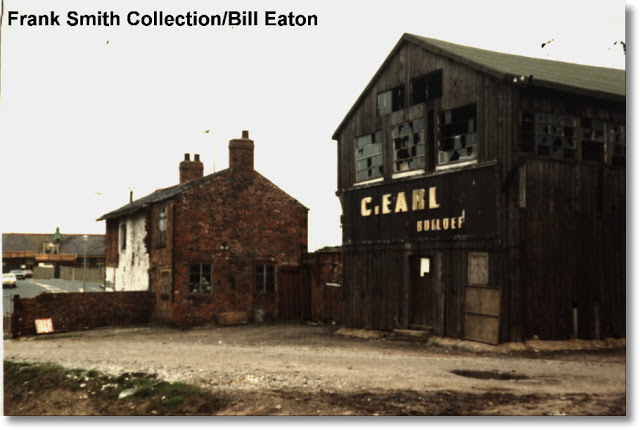 Allan Earl's books Middlewich 900-1900 (Ravenscroft Publications 1990) and Middlewich 1900-1950 (Cheshire Country Publishing 1994) are required reading for anyone wishing to know about the true history of our town. Coincidentally, while I was working in the MUDC rates department, Allan was working across the corridor in the council's Surveyor's department. Chris Earl died in 2007 at the age of 92. Do you have memories of the Earl family? Did you work for Earl's builders? We'd love to hear from you. Don't hesitate to get in touch, either on Facebook or by email, or by phoning us on 01606 833404.